Netflix on Monday reported that its number of subscribers climbed more than expected, topping 100 million worldwide and sending shares in the leading on-demand television service soaring. Netflix shares leapt more than 10 percent to $178.48 in after-market trades that followed release of earnings figures showing the Silicon Valley-based company added 5.2 million subscribers in the recently ended quarter to raise the total to 103.95 million for its streaming service. Most of the subscriber growth came from outside the US, where Netflix has invested heavily in establishing itself as a global television service. Netflix ended the quarter with slightly more than half of subscriptions coming from outside the US, a first for the company. Profit was up 61 percent to $66 million, Netflix said. Revenue increased 32 percent to $2.78 billion from the same quarter last year. “We underestimated the popularity of our strong slate of content which led to higher-than-expected acquisition across all major territories,” Netflix said in a letter released along with the earnings figures. Netflix told investors that it was determined to balance boldness and financial discipline as it continued to bolster its programming slate. The company has cut shows that weren’t attracting sufficient numbers of viewers, taming costs as it boosted subscriber numbers in a combination that played well with investors, according to analyst Enderle. Netflix and rival Amazon Prime have been pumping money into original shows to win fans and set themselves apart in an increasingly competitive bid for viewers’ time. “The competition for entertainment time is always intense, but the silver lining is that the market is vast and diverse,” Netflix said. More than a billion hours of video is viewed daily at Google-owned YouTube, while Netflix streams a similar amount of video to subscribers over the course of a typical week, according to the company. “The shift from linear TV to on-demand viewing is so big and there is so much leisure time, many internet TV services will be successful,” Netflix said. 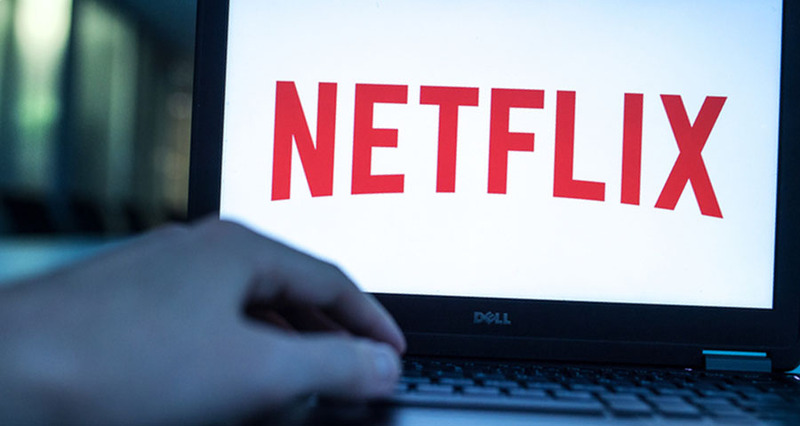 Netflix and Amazon have proven they can break into a market against intimidating entrenched positions of cable companies, according to Enderle. Netflix forecast that it would add 3.65 million more subscribers around the world in the current quarter. “We are making good progress with our international expansion as improving profitability in our earlier international markets helps fund significant investment in our newer territories,” Netflix said. The company reported a loss of $13 million outside the US in the recently ended quarter, but said it expected to end this year with an overall profit in its international operations. Content chief Ted Sarandos cited matching shows to local tastes as a key to winning subscribers, saying that Netflix planned to invest more time and energy in Asia.